Charline ​has inspired thousands of people nationally and internationally with spiritually uplifting messages that raise hope and stir inner potential to higher levels toward quality living. Rev. Charline ​has inspired thousands of people nationally and internationally with spiritually uplifting messages that raise hope and stir inner potential to higher levels toward quality living. She has facilitated workshops, training programs, seminars and keynote addresses for over thirty years in various capacities. In her spare time Rev. Charline has authored seven books and continues to write more. Her practical and down to earth approach to life, connecting with people whether in the boardroom while serving on a nonprofit organization or striving to live a high quality life of success, happiness and prosperity has given her the opportunity to be invited to speak to audiences internationally. Rev. Charline served as a church pastor for over twenty years. She serves as online adjunct faculty instructor for the Unity Urban Ministerial School where she teaching future spiritual leaders to working effectively with Boards teaching from her books: The Power of One Accord and Boardroom Culture Shock. 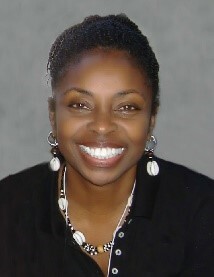 Currently she serves on several non profit boards of directors. Offering insights into restructuring conventional attitudes, in board leadership. Each chapter ends with discussion starter questions and practical application methods for amplifying the competence and capacity of the board. This book helps Board of Directors sitting at the boardroom table of faith-based organizations to utilize 7 powerful spiritual keys to support strong relationships that lead to synergy and collaborative dynamic deliberations on organizational matters.